Sore throats are common for adults and children alike. Though they seem to occur most often in the winter, people can get sore throats year round, whenever they are sick or have overused their voice. Other medical conditions and treatments like chemotherapy for cancer can also cause a person to have a sore throat. Luckily, certain foods can help to relieve the pain and irritation associated with a sore throat. People who have a cold or the flu often choose chicken noodle soup to make them feel better. Hot soup, including chicken noodle, lentil soup, black bean soup and any other healthy type of soup can alleviate a sore throat. The Mayo Clinic explains that salt, which is found in most soups, especially canned soups, can actually sooth sore throats and reduce the amount of mucus in your throat. The warmth of a hot soup can also feel good on a sore throat. Additionally, the Mayo Clinic recommends getting plenty of fluids when you have a sore throat because they are lost when your body produces mucus. 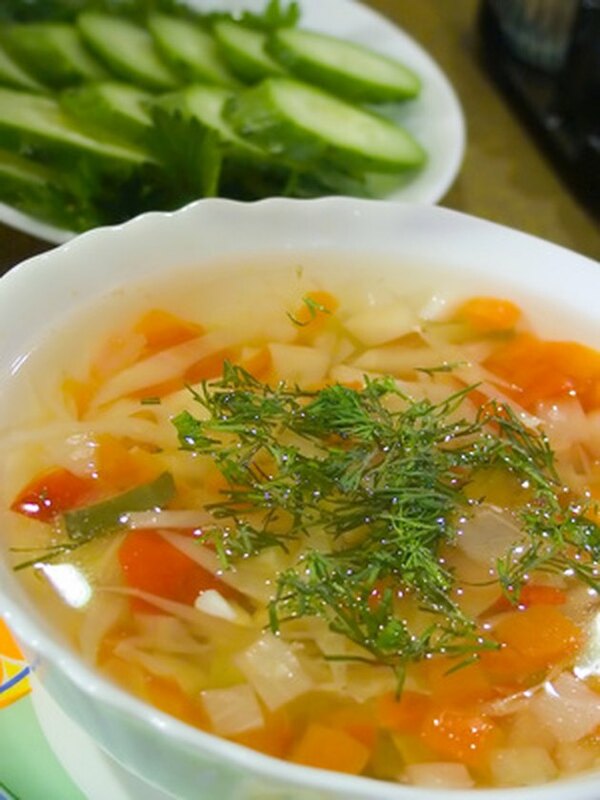 Enjoying a hot bowl of soup is an excellent way to increase your fluid intake. According to the Mayo Clinic, honey helps to soothe sore throats by coating the throat and easing pain. You can add honey to tea or oatmeal, or eat a food with honey to soothe a sore throat. For example, baklava is a Middle Eastern dessert made with layers of phylo dough, nuts and plenty of honey. Baklava is also usually soft and can even be purchased without nuts or with pureed nuts instead of pieces of nuts, which would be a better choice if your aching throat involves open sores that may be easily agitated by hard foods. Yogurt is a good food choice when you have a sore throat because it is cool and bland. The American Cancer Society explains that people with sore throats should choose bland foods like yogurt rather than acidic foods like oranges or spaghetti with tomato sauce, which may irritate the throat. Yogurt is also soft and slides down the throat easily. For added benefit, try drizzling a little plain yogurt with 2 tbsp. of honey. Macaroni and cheese is a childhood favorite that can help relieve the aching throats of children and adults alike. The American Cancer Society recommends choosing macaroni and cheese when you have a sore throat because it is soft and bland. Another benefit of macaroni and cheese is that it contains protein, according to the American Cancer Society, which may boost your energy levels. The American Cancer Society recommends eating ice cream to help manage a sore throat because it is soft, cold and creamy. A plain ice cream flavor like chocolate or vanilla is probably a better choice than a flavor like pecan praline, which may have small pieces of nuts. Sharp pieces of nuts may irritate the throat, but the smooth, cool texture of a plain ice cream is always a good choice for a sore throat.